Odds-on favourite Noble Boy claimed the Country Championships Wild Card at Muswellbrook - as expected - but the excellent racing on the picturesque Hunter Valley course does not finish on Sunday. 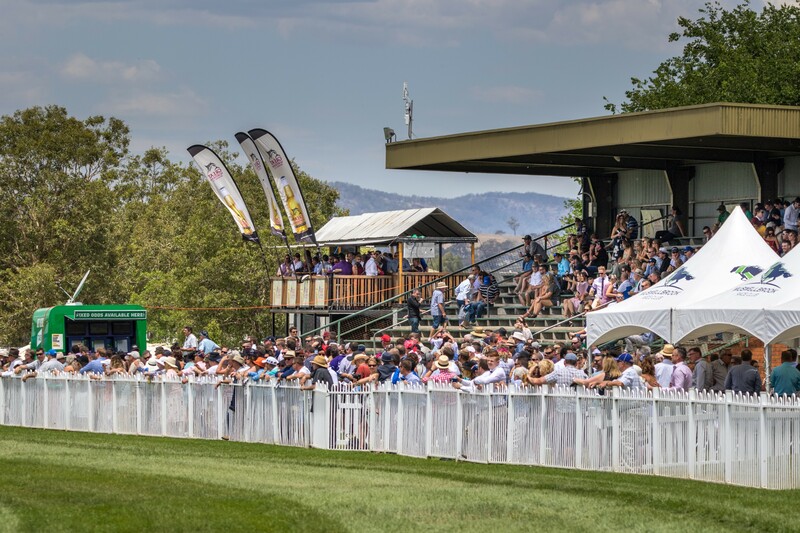 Muswellbrook Race Club, for the first occasion, hosts two Racing NSW Country Showcases in the space of six days with the $100,000 Muswellbrook & District Workers Club Muswellbrook Gold Cup this Friday. “March is a huge month for us,” said MRC’s general manager, Duane Dowell. “We have the Country Championships Wild Card today and then back up next Friday for Muswellbrook Cup Day. Today’s Country Championships Wild Card offers trainers and owners the final opportunity to grab the last two spots in the field for the $500,000 Newhaven Park Country Championships Final (1400m) at Royal Randwick on Saturday 6 April. Friday’s Muswellbrook Cup Showcase meeting highlights another outstanding program worth $350,000. “The racing spotlight will well and truly be on Muswellbrook and we’re looking forward to hosting a couple of wonderful days of racing,” Mr Dowell said. “This will be the fourth time we have staged the Country Championships Wild Card. “It’s now a perfect fit,” Dowell said. “The horse population in work is bigger at this time, and our track is at its premium condition in autumn. Supporting the 2019 Gold Cup will be the $50,000 Showcase Skellatar Sprint (1000m), sponsored by Horsepower, and $40,000 Mt Arthur Coal Wayne Harris Showcase Handicap (1280m). Muswellbrook Golf Club will host a charity golf day on Thursday followed by a Cup Calcutta there around 5pm. Meanwhile, Tullibigeal picnics will race on Saturday with the community in full swing preparing for the many visitors, excitement and fun of this fabulous annual event. The race club’s Joclyn Newham, said: “We call it the ‘Randwick of the West’ and we’re expecting a large crowd with a jumping castle, laser tag, sand art and face painting to keep the kids entertained. “Come along to enjoy our delicious BBQ, a variety of food vans and our full bar or just relax in the Wellways marquee. “And to finish the day we have local singing sensation, Sabrina Finch, performing live after the final race. “Tullibigeal welcomes visitors from far and wide to our annual picnic meeting located 2½ hours from Wagga Wagga, one hour from West Wyalong, 1½ hours from Griffith and two hours from Forbes and Parkes.